The South Korean smartphone manufacturer, LG is all set to launch the G6 smartphone in a couple of days, and we know a lot about the device already. The company has been teasing the smartphone slowly by giving away one detail at a time. Previously we got a glimpse of what to expect on the software side of things for the smartphone. The company is bringing the new LG UX 6.0 for this smartphone which is expected to take full advantage of the display which has an unusual aspect ratio of 18:9. Now according to the new teaser, we have now learned that the smartphone will have wide-angle cameras on both front and back. The LG G6, just like some of the previously launched smartphones will have wide-angled cameras on both front and back. As mentioned earlier, the same has been confirmed by the company. 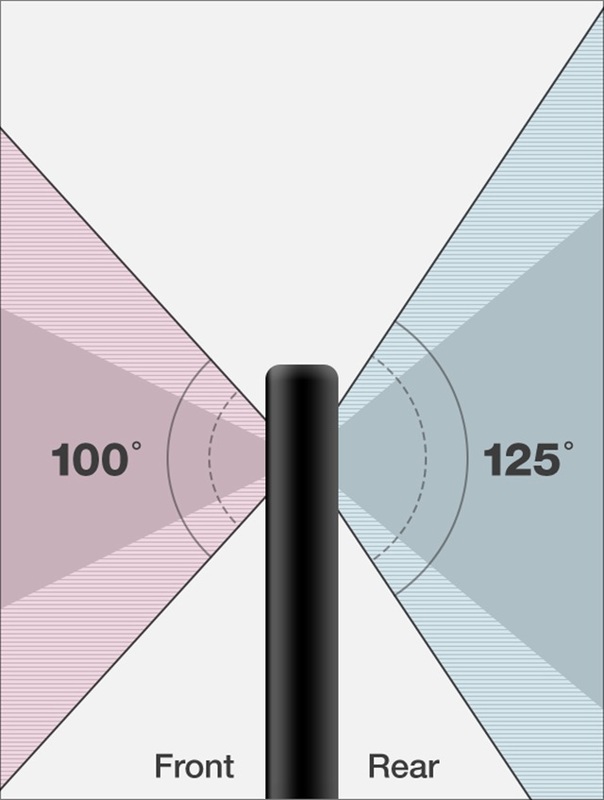 It looks like the front-facing selfie camera will have a 100-degree Field of View (FOV). However, the megapixel count for the same and other details are still unknown at this point in time. At the back, for the main camera, we will be getting a dual camera setup. Both the cameras at the back will have a 13MP resolution which is different from what we saw with the previously launched LG V20. Out of the two, one of the rear facing camera will have a 125-degree Filed of View (FOV). Both the cameras will work together to give you the best shot possible. This is something which is LG is quite known for, as they already launched LG V20 will similar setup and was widely accepted by everyone in the market. It looks like we will have a ton of shooting modes as well including the new 18:9 which will use the full width of the screen. There will be a 1:1 mode as well which will produce square images that should be good for Instagram, etc. And other basic modes will also be present like the Panorama, Food mode, etc. The LG G6 should allow for a great shooting experience with that 18:9 aspect ratio. Also, if you are not shooting at 18:9, then the software will display a couple of previous images at the sides in order to take advantage of the entire width of the display. There will also be a GIF mode which will allow you to combine anywhere from 2 to 100 images from the gallery app. Having said that, we hope the camera on the LG G6 is as good as it looks on the paper. We don’t have for a long time as the launch is closer than you think. Stay tuned to PhoneRadar to be the first one to know everything about the LG G6 when it goes official.